The First radiology facility in Westchester County to be awarded a Breast Imaging Center of Excellence*. Since 1975, Rye Radiology Associates, LLP has been the imaging center for patients in the Westchester, Connecticut, New York City and New Jersey areas. Rye Radiology, an American College of Radiology fully accredited practice, is well respected for our work in women’s breast cancer detection and analysis. The doctors have extensive experience interpreting mammography, breast ultrasound, breast MRI and performing breast biopsies with imaging guidance. 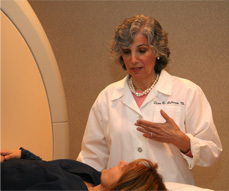 We also perform a full range of diagnostic imaging exams, including MRI, CT, general ultrasound, bone density and x-ray. Through our work we interact with the leading internists, gynecologists, surgeons and oncologists in the entire New York metropolitan area. 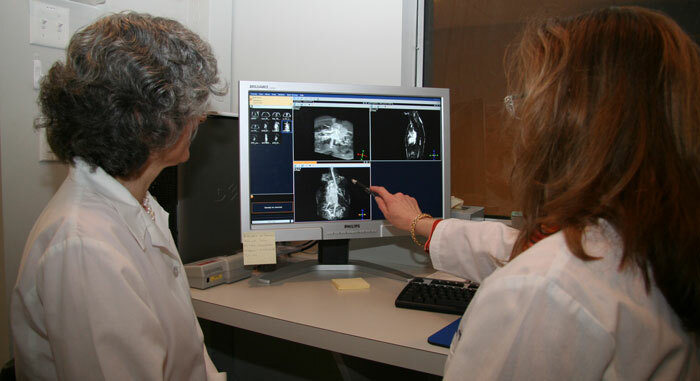 Dedication, experience and technology are the hallmarks of Rye Radiology. Rye Radiology installed the first mammography unit in Westchester over 40 years ago. Dr. LoRusso championed and performed early breast ultrasound screening, one of the first doctors in the country to do so in the 1980’s. Breast ultrasound has only recently received general medical acceptance as a screening tool for dense breasts. We have always been an early adopter of life-saving innovations, including our new 3D digital imaging mammography technology. Annually, our esteemed doctors are cited among Castle Connolly’s Top Doctors in the New York Metro Area. Our doctors, Dr. Diane LoRusso, Dr. Gail Calamari, Dr. Christine Staeger-Hirsch and Dr. Sejal Amin and our professional staff work as a team, sharing their collective knowledge and experience on behalf of all of our patients.